The Alcatel 1X and the Alcatel 3V are now coming to the US. This simply means they will be available for purchase soon. Both Devices feature 18:9 aspect ratio and they were announced by the company during the MWC 2018. There is no new price included, but the company shared few details about the price tag which is around $100. It is not much of any expensive phone, but it is a reliable smartphone. One cool feature that the Alcatel 1X has is that of the Android Oreo (Go Edition) which other higher priced phones don't have. Also, the smartphone has been optimized for cool performance and it also includes fingerprint sensor at the back. While the Alcatel 3v costs €189.99 and does not include the Android Go feature. 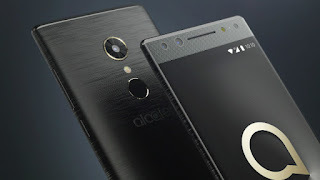 Nevertheless, the smartphone is similar in terms of specs to that of the Alcatel 1X.